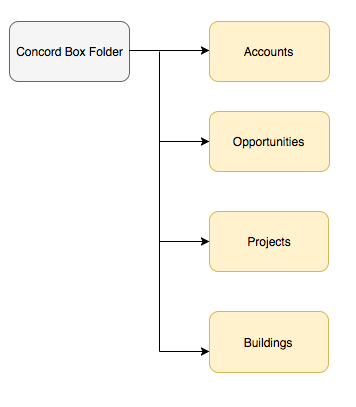 One of the leaders of IT Industry, Concord has been looking for a solution to create multiple folders in a hierarchal structure in Box. They wanted to create a child objects folder under the parent object folder in a hierarchy. For accomplishing their solution, they chose CEPTES, to build an Enterprise App that could help them to bridge this gap. While creating Child object folders additionally defined sub-folders were to be created within the object folder in Box. Concord’s challenge now was Box does not support directly to create any child object folders under the parent folder. When ‘Create Folder’ is clicked on the child object it always creates at the root folder in Box. 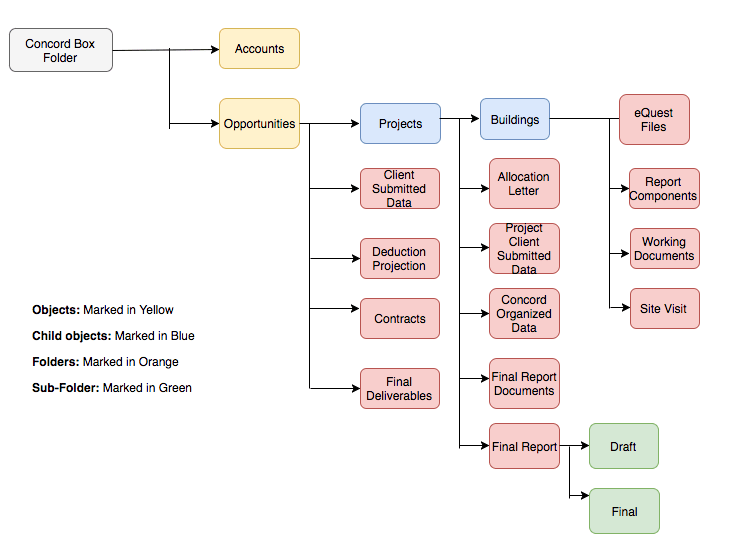 Business wanted to automatically create certain subfolders under the same parent and child object folders. Access Token needs to be activated/updated on timely basis. CEPTES provided a customized solution on top of Box to allow user to ‘Create Folder’ at the child object level which will be created under the parent object folder in Box. We have also provided a solution to configure the sub folders creation within the object folders dynamically without manual intervention. Configure any Subfolder using the Custom Settings. No customization required if any new subfolder must be created.